Metal Building & Component Manufacturing in Missouri is projected to grow 7.9% over the next five years, with average earnings of $50,448 per job. McElroy Metals, a leader in the industry with dozens of facilities across the nation, recently opened a new manufacturing facility in Diamond. In the past five years, Southwest Missouri has seen the addition of more than 3,500 jobs, more than 600 of which in manufacturing. From 2012 to 2017, the region saw the addition or expansion of 490 payrolled business locations. 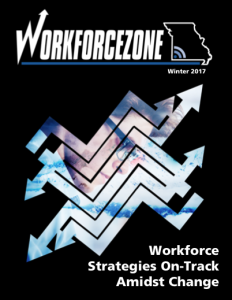 Area businesses can utilize their local workforce system for a variety of services, including job posting & matching, wage analysis, job training wage reimbursement, work experience programs, exclusive hiring events, and more. For more information, contact Frank Neely at 417.380.9626 or learn more at www.sectorready.org. The WIB’s first-ever Construction Trades Pre-Apprenticeship finished strong with ten graduates recognized at a ceremony held Friday, March 17th at the Joplin Job Center. 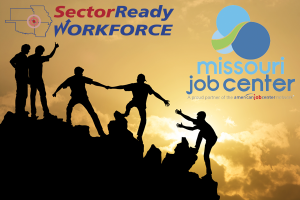 Funded by Catholic Charities together with a special apprenticeship grant to the WIB from the Missouri Division of Workforce Development, other partners included Crowder College Training and Development Solutions, IBEW, and the Carpenters Union. The ceremony included several inspirational presentations on the challenges the participants overcame and the improvements gained in their personal and vocational pursuits. Pre-Apprenticeship Skilled Trades 2017 from WIB on Vimeo. While some of the grads already secured private sector employment, other completers will stay on with Catholic Charities for additional paid work experience. The social enterprise effort from Catholic Charities helps refurbish local residences for those in need. A special hiring event is set for April 5th to connect grads with employers in the construction sector. Download this printer/tablet friendly flyer for additional information on the hiring event. The WIB and its stakeholders are currently evaluating outcomes of the training program for future offerings. For more on future apprenticeship efforts, contact Sherri Rhuems at the WIB. The first week of training covered soft skill expectations of employers, resume preparation, and the National Career Readiness Certificate. Week two probed into construction with worksite safety and basic construction skills. Electrical training happened in week three with electrical safety and basic electrical work. The final (fourth) week covered safety and medical training such as OSHA-10, first aid, CPR, and forklift operation. Weeks five and beyond (up to 12 weeks total) feature the paid internship for participants to put their skills to work. 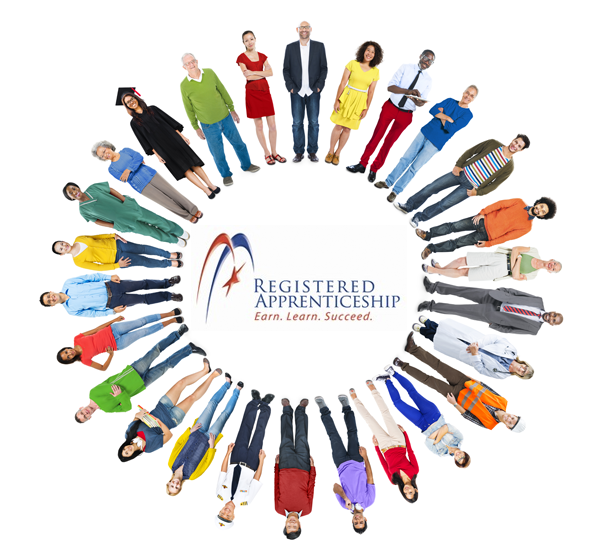 Quality pre-apprenticeship programs contribute to the development of a diverse and skilled workforce by preparing participants to meet the basic qualifications for entry into one or more Registered Apprenticeship programs. Through a variety of unique designs and approaches, pre-apprenticeship programs can be adapted to meet the needs of differing populations being trained, the various employers and sponsors they serve, and specific opportunities within the local labor market. Pre-apprenticeship training is a great way for participants to explore and learn about exciting careers; qualify to meet the minimum standards for selection to employment and training programs to help advance; benefit from classroom and technology-based training; get a start on career-specific training with viable career pathway opportunities; build literacy, math, English, and work-readiness skills employers desire. Southwest Missouri has dozens of organizations ready to assist those in need. However, finding up-to-date contacts and information on resources can sometimes be like finding the needle in a haystack. 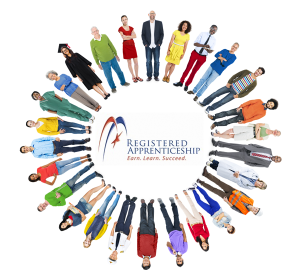 The new Resource and Referral Navigator tool is coming soon to the new SectorReady.org. The portal seeks to remove much of the hassle of connecting local solutions and services to customers through an easy-to-use online system. Organizations interested in listing services may contact Frank Neely, frank@sectorready.org, or 417-206-1717, Extension 108. The annual State of the States report from Site Selection magazine includes the third edition of Rankings that Matter. Along with legislative, demographic, economic and education data points, the publisher also ranks all 50 states on elements relevant to corporate location decision-makers. Two of the six rankings cover workforce quality: Rank in total ACT National Career Readiness Certificates (NCRC) earned per capita among working-age adults (as of December 2016) and College Attainment with the percent of working-age population ages 18-65 holding a two-year degree or higher (using Summer 2016 data from the Lumina Foundation). With the NCRC, Joplin remains the best performing metro in Missouri. With a 20% improvement in Missourians with the NCRC now surpassing 80 thousand, Missouri ranks 20th nationally on the NCRCs per capita. Neighboring Kansas and Arkansas have similar NCRC rankings at 23rd and 24th, respectively. Oklahoma, a long-time champion of NCRC, ranks 7th in this measure. For local comparison, the WIB generated NCRC Per Thousand rankings of Missouri’s six metro areas and the totals overall for Arkansas, Kansas, Missouri, and Oklahoma. Joplin’s ranking of 49 NCRCs Per Thousand is four times the U.S. index overall, three times the index for the Show-Me State, and six times better than Missouri’s largest metros of St. Louis, Springfield, and Kansas City. 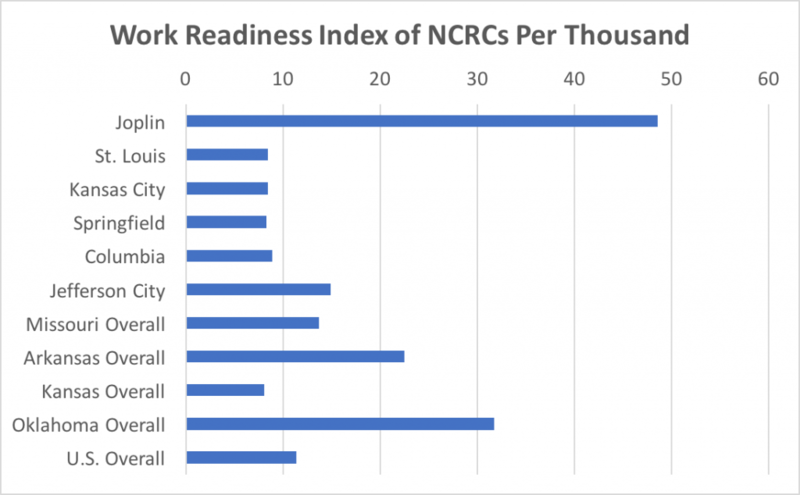 The WIB computed this index of each area’s population and the NCRCs recorded by ACT’s Work Ready Communities initiative (as of December 31, 2016). Metro populations are based on 2015 estimates while state populations are 2016 estimates. Joplin’s MSA includes Ottawa County in Oklahoma together with the Missouri counties of Jasper and Newton. The St. Louis MSA includes additional Illinois counties and the Kansas City MSA includes additional Kansas counties. Other rankings in the report include Rank in the Tax Foundation’s 2016 State Business Tax Climate Index (Oct. 2016), Rank in 2015 Higher Education R&D Expenditure (Total in $000s in parentheses), Rank by Lowest Industrial Electric Power Cost (¢/kWh), and Fiscal Condition Index (Mercatus Center at George Mason University, June 2016). The online version of the report indexes each state profile as a downloadable/viewable PDF. In the print edition of the magazine, the report begins on page 94. The Joplin Globe newspaper provided strong coverage of Joplin’s Vision 2022 efforts, including WIB perspectives on education and job growth. Today’s edition featured Vision 2022’s Job Growth team that kicked off Tuesday night. 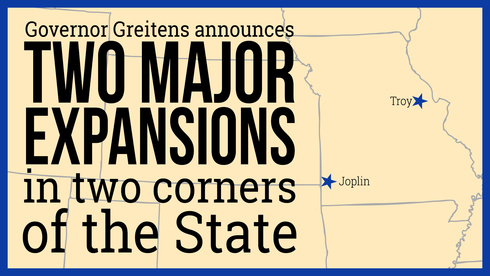 Update on Monday, January 30th: Joplin Globe covered the second meeting of the Job Growth Team with analysis of occupation growth projections and economic factors that might affect projections and outcomes. The goal of the Job Growth team is to support the citizens’ desire for a vibrant economy with a thriving workforce by growing the job market. The group’s first meeting Tuesday examined labor market and sector trends with discussions around key priorities. The group meets again January 26th to dig deeper on skill gap trends and issues. Globe journalist Jordan Larimore interviewed Job Growth Team co-chair Ryan Melton, Adam Bokker of Home Instead Senior Care, and Jasen Jones with the SW MO WIB. The Education team met Monday, as noted in a separate article from the Globe. This team has two components of K-12 and adult education (including post-secondary). This team’s mission is to support the citizens’ desire for Quality Schools by developing a community of learners rooted in strong communications, collaboration, critical thinking, and creative thought to ensure an engaged and informed community. More about Vision 2022 is available online or through their Facebook page. KCGS-TV at Missouri Southern State University also covered Vision 2022 in its Newsmakers program with video available online as well. 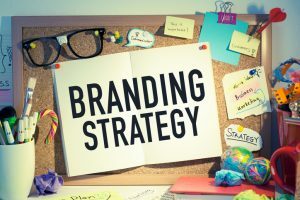 Other teams within Vision 2022 include Governance, Healthy Living/Wellness, Positive Marketing/Branding, and Quality of Life.